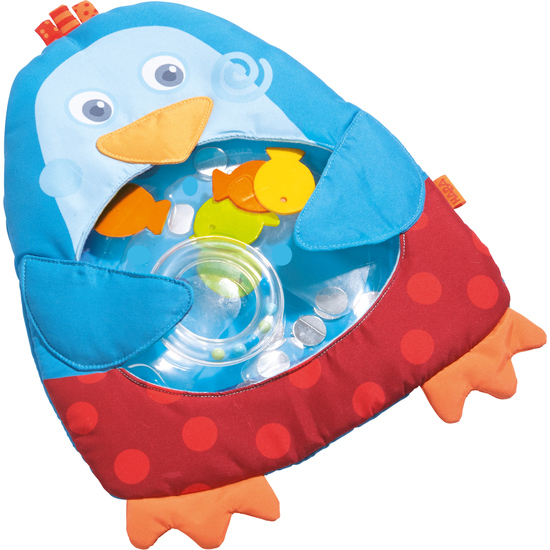 This water play mat is an adventure for all babies as they discover many different swimming shapes. The mirror elements and the fish can effortlessly be pushed to and fro by hand. It’s fun and enhances motor skills in tummy time position. The water-filled mat is coated with a soft fabric removable, machine washable cover; the fabric ensures babies are comfortable lying down. Additional stimulating elements sewn on outside of fabric.